Mmmm, you can smell the nineties right from the start of this movie (gee, it was made in the nineties, that’s so strange), takes you back doesn’t it? 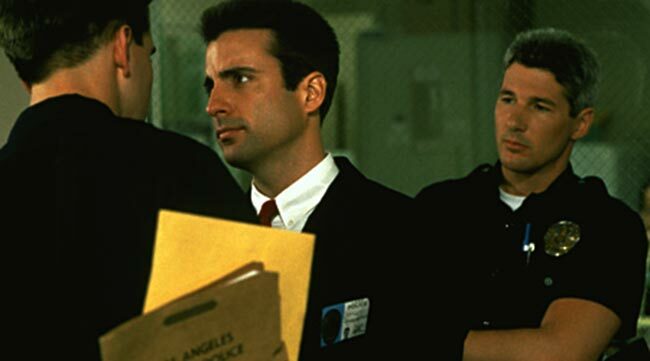 Richard Gere was young and dashing, Andy Garcia three years after his big screen debut in The Untouchables  thought that he’s gonna own the world (why this didn’t happen I still don’t know) and William Baldwin, well, he was in the movie. 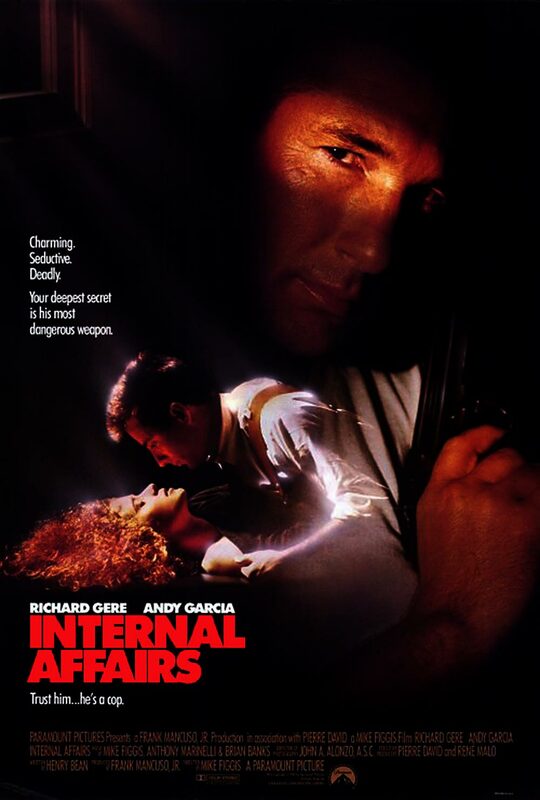 Internal Affairs is a cop thriller, much like the TV series The Shield with a slimmer and hotter version of Vic Mackey but similar story of corrupt cops and people who are on to them. This is a relatively slow movie that takes its time to develop the characters and build up momentum. From this perspective this seems a bit stretched and sometimes tedious, but still it keeps the attention with an additional plus of that nineties noir vibe. Dennis Peck, seemingly an outstanding cop, has been in the crosshairs of the internal affairs for some time. Finally a young and eager Raymond Avila joins them, and the hunt is on. Highly skilled in interrogation techniques and “connecting the dots”, he starts to get closer and closer to Dennis and his crew. Very manipulative and charming, Dennis uses all the means available to steer the investigation away from him, marking the start of the battle with only one victor. Fun Facts: Richard Gere and Andy Garcia reportedly did not get along during filming. Some of the scenes in which they were required to hit each other, particularly the confrontation in the elevator, were allegedly for real. Garcia subsequently refused to attend the wrap party.